Chalet type home in the Mountains, 20 min. driving time from Cali, sit in the middle of gardens, trees and 250 acres of Mountain forest. with mid temperatures of 65 to 75 degrees F. year round. Parking for 4 cars, Tennis court, stables, maid and laundry room, gardener included in rent. Chalet surrounded by unspoiled extensive mountain forest full of fauna and flora. Only sounds of birds and mountain afternoon fog during the day, temperatures between 60 and 75 degrees F.
Air condition is not required. Median temp 70 degrees F.
Fully equipped: Gas stove, Oven, refrigerator, dish washer, pots& pans, silverware, kitchenware, full dinnerware cooking utensils, skillets etc. 250 Ht. 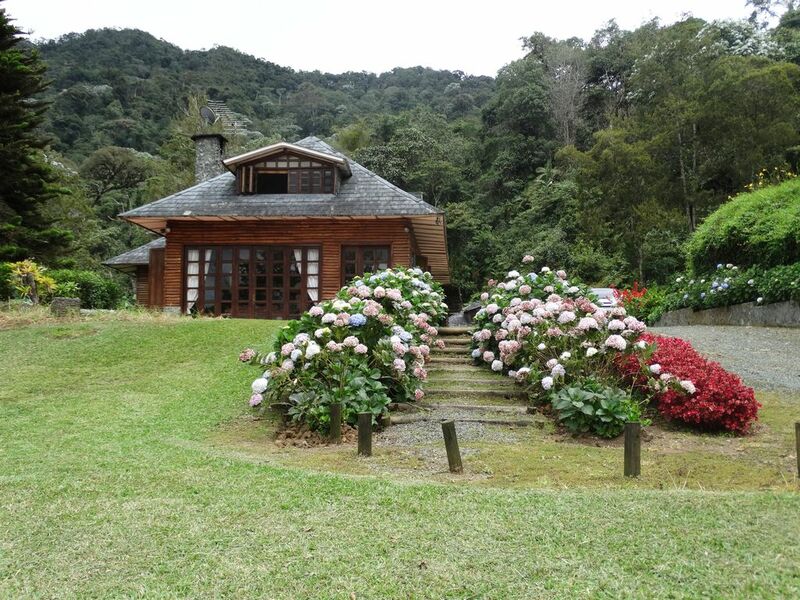 mountain forest reserve with extraordinary fauna and flora: bird watching, hiking, horse back riding (on request) cycling (on request) tennis, ample gardens, camp fires. Chalet sits in a peaceful mountain forest with trails and roads in beautiful settings. Ride, bike, hike, play tenis amidst an unspoiled rain forest.